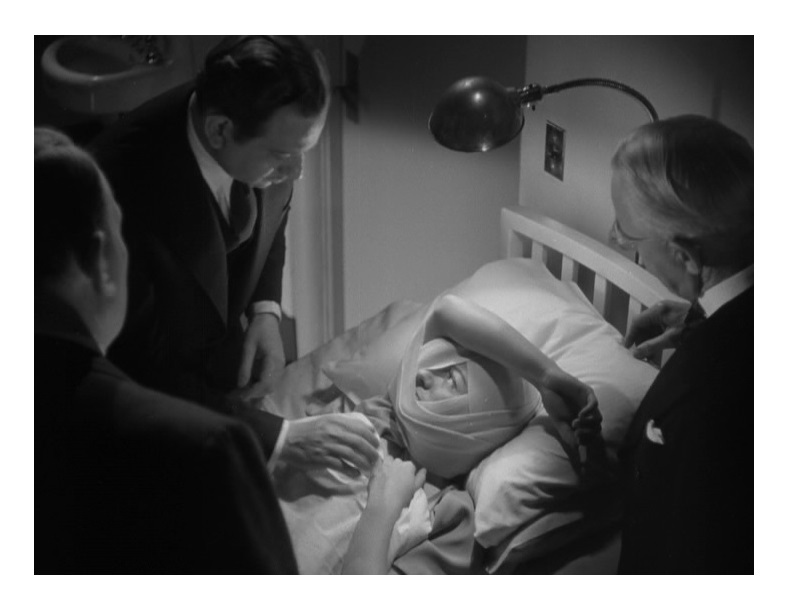 A terribly disfigured criminal, Anna Holm (Joan Crawford, Mildred Pierce), becomes involved in a plan to kill a young heir, but Anna has a change-of-heart after a surgeon (Melvyn Douglas, Ghost Story) restores her looks. George Cukor (Love Among the Ruins) directed this Hollywood remake of the 1938 Swedish production in a highly stylish manner. 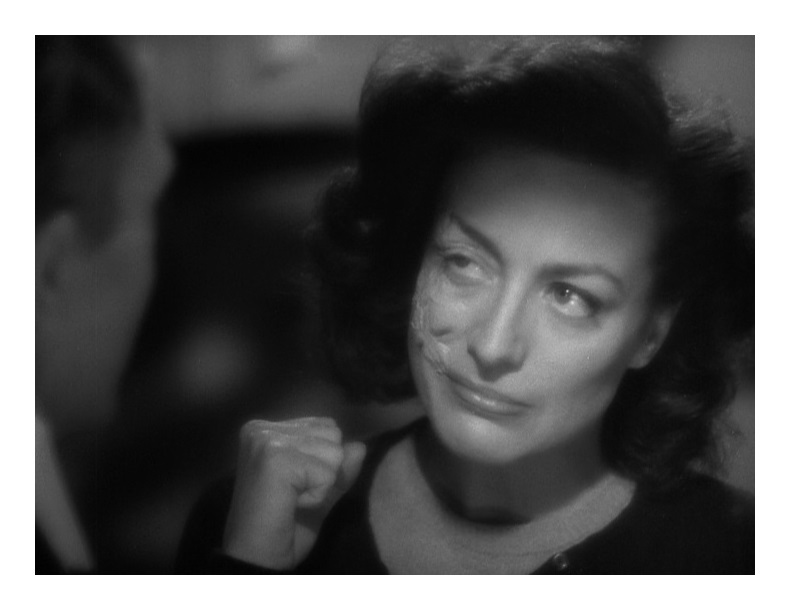 Cukor also elicited a superb performance from Joan Crawford, one of her very best. Screenwriter Donald Ogden Stewart (The Philadelphia Story) did an outstanding job restructuring Francis de Croisset’s French play, which was the basis for both films. Stewart managed to fix everything that I thought was wrong with the original. All changes to the story were an improvement. First, I loved the film’s flashback structure. The movie begins with a murder trial and the story unfolds as characters testify in front of a judge. We viewers are invited to piece together the story as it is told from different points of view. Second, Stewart cleverly injects an element of romantic infatuation into the story. In the original, Anna is a bitter woman consumed by greed. For the remake, Anna has been transformed into a broken woman obsessed with a man who turns out to be psychopath — this alteration makes Anna’s change-of-heart much more plausible. Finally, the main villain has been fleshed out. 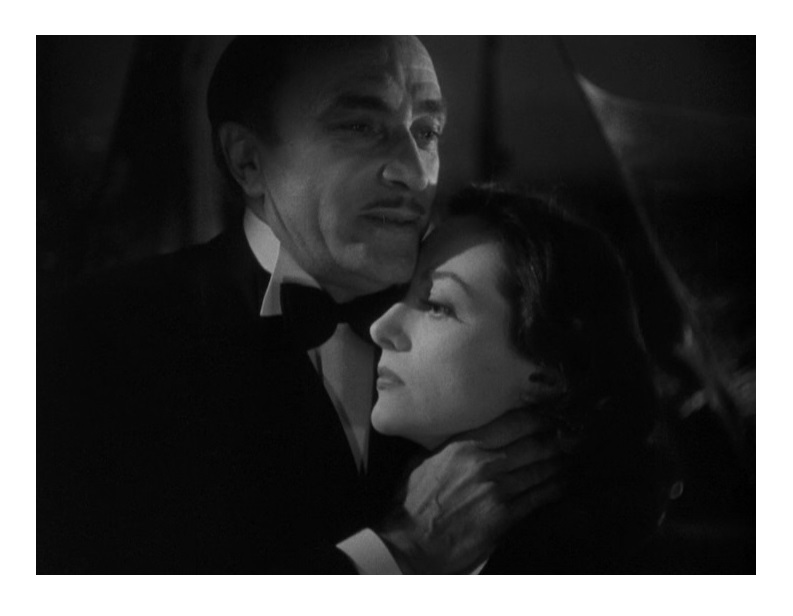 This key role is played by the fabulously reptilian Conrad Veidt (Casablanca), one of my favorite character actors. Veidt’s scenes with Crawford are packed with electricity. The cast also includes scene-sealer Marjorie Main (The Egg and I) as a suspicious housekeeper and Albert Bassermann (Foreign Correspondent) as Consul Magnus Barrin. This is perhaps my favorite Crawford performance. Her Anna is a brilliant combination of steely bravado and vulnerability. She’s effectively deglamorized, demolishing the perception that she was a mere movie star. Ingrid Bergman had played Anna in the original and needless to say she was the better actor of the two. And yet, I found Crawford much more believable, especially during the first half. Does anyone really believe that lovely Ingrid could be the mastermind of a criminal enterprise? Crawford, on the other hand, always looked as if she ate kittens for breakfast. Anyhow, Crawford was very proud of her performance and was allegedly furious with her studio, Metro-Goldwyn-Mayer, after she failed to get an Oscar nomination (MGM chose to promote rising star Greer Garson’s work in Blossom in the Dust). 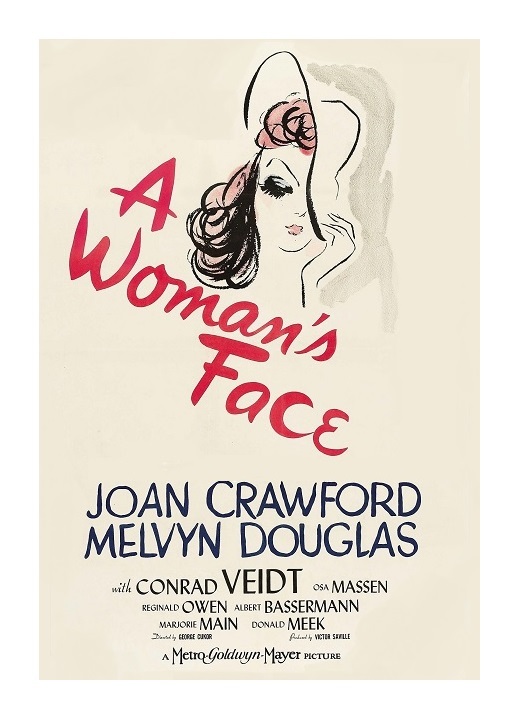 MGM’s A Woman’s Face is, in my humble opinion, superior to its Swedish counterpart. It’s usually the other way around; Hollywood tends to mess up remakes of foreign-language movies. Director Cukor and writer Stewart assembled a gritty, exciting melodrama that has stood the test of time. It’s a great combination of noir and female angst. Crawford is superb — a cunning piece of work by an underappreciated actor. Watch both versions and have fun comparing them. B&W, 106 minutes, Not Rated. I’m excited to see this one again…my DVR just recorded it off TCM. I do remember Crawford being superb. After your great review, now I am really in the mood!